Everyone told me buying a house would be one of the most stressful things I would do in life. I scoffed at them. Being a parent I have had five years of anxiety and sleep deprivation. Compared to mummyhood, I considered a home buy a skip through the park on a sunny day, to the theme tune of what a wonderful world. Flash forward to me two months in, wanting to pull my hair out and eyeing up a bottle of wine at 2pm. I will be retrospectively writing lots of ‘how to’ tips for petrified #firstitmebuyers like myself. 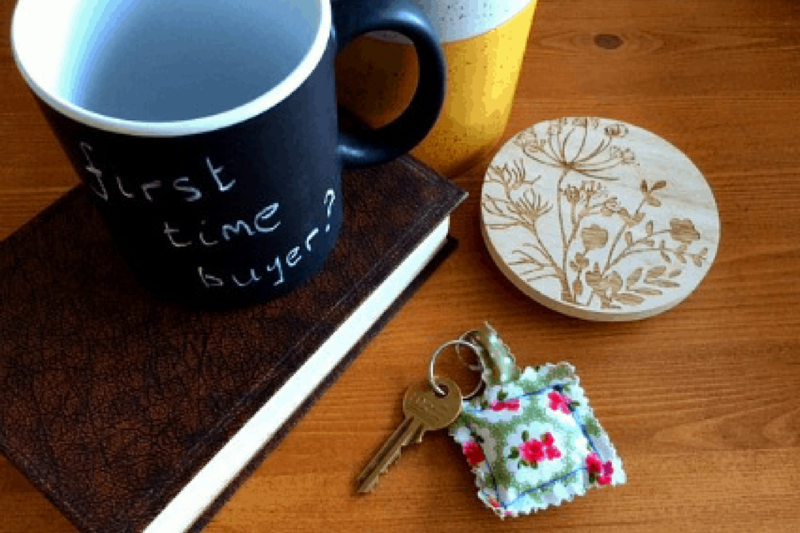 From what to look for when viewing a home, to what survey to choose and how to harass your solicitor without them getting a restraining order against you. My family and I are presently in the no man’s land stage. We have had an offer accepted, and the torturous 4 hour long mortgage appointment is done. The bank is currently scrutinising out finances and likely tutting how many times I have been to McDonalds in the last year. Local searches are underway and life is just waiting. Painful waiting. And pre-emptive fighting over what colour we will paint the lounge. Having rented previously I suddenly realised I take for granted all the home security basics. Want to make your home a safe place? Fire extinguisher and a fire blanket. They are not just for firemen, or my tempremental cooking. They are handy to keep under the kitchen sink or near the work table in the garage. There are 3 key things to look for when buying a fire extinguisher. You need to make sure that it has a manufacture, Kite and CE marked. Also, make sure the pressure gauge reads “full” and that it was made within the last year. You only need a compact, multipurpose type and powder covers the majority grade fires. Don’t let your kids or partner play with it. Working detectors are a must and give me reassurance that my family is a little safer. You don’t have to spend a fortune to get great value. There are 3 different types of alarm. I favour a heat alarm for the kitchen and smoke (ionization) alarms for each floor of the property, positioned on the centre of the ceilings. Buy long life batteries. Use the test button to test the smoke alarm’s battery weekly. Dust inside the case and get a new smoke alarm after 10 years. A carbon monoxide alarm should be fitted in any room that contains a fuel burning appliance, like a boiler. You can also install them in other rooms to ensure adequate warning is given i.e. bedrooms. Install your detector at a horizontal distance of between 1 and 3m from the potential source. Nest do combined smoke and CO detector alarms. Don’t install ANY alarms in the bathroom. The area we want to reside is not particularly high crime, more a sleepy Devonian town but my 5 year old is afraid of burglar Bill. I don’t own anything valuable enough to go big brother and get CCTV but there are so many wireless products like the Panasonic Motion Sensor and Yale wireless alarm that I would invest in. Wireless alarms are easily to install, easily movable and you can add detectors with relative ease. They also lower home insurance. You can also buy a security light for additional piece of mind. These range from £15 to £50 and the infrared motion detector is also useful for when you are trying to walk up your path in the dark carrying 20 grocery bags. If you have experience buying and taking care of a new home, what other must-have items would you add to this list?